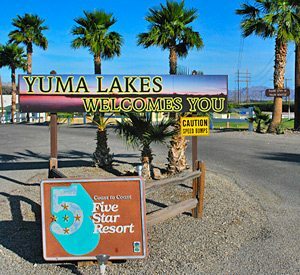 Only minutes from Mexico and just 10 miles from historic Yuma, Arizona, Yuma Lakes Resort is a favorite of Colorado River Adventures Members, and one of the best rv parks in Yuma Arizona. This beautiful, tranquil location is the perfect place to forget your cares. At Yuma Lakes Resort, camp among shade trees, or fish for bass in the resort’s stocked lake. Be sure to check out the activities at the clubhouse and mingle with others. Tennis, off-roading, hunting, water sports, hiking, spectacular scenery, sightseeing and more set Yuma Lakes Resort in a class of its own. The town of Yuma with its museums and historic parks is only a short distance away. With 13 challenging golf courses, Golf Digest has ranked Yuma the 7th best city in the US for golf. While staying at Yuma Lakes Resort, embark on day trips to Mexico free of hassle and full of colorful culture, shopping, and sightseeing. A weekly caravan from Yuma Lakes Resort to our El Golfo Beach Resort on the Sea of Cortes, Mexico is available for your convenience. At our spacious clubhouse, slip into a heated swimming pool to cool off and relax. The lake is stocked with bass, so every visitor will want to take time for a day of fishing. You might ride an ATV over the famous sand dunes, take in prehistoric sites, or venture out on a Colorado River tour. See a live show at the Yuma Territorial Prison State Park or view history from one of the oldest cultures at the Cocopah Indian Museum. 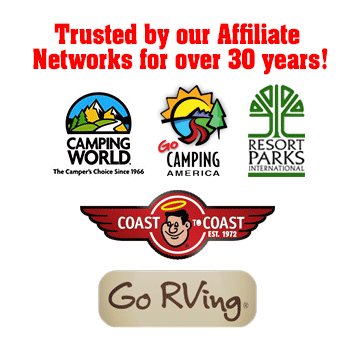 Camping and RV resorts in Yuma are plentiful for good reason. The year-round, warm, sunny weather, huge blue skies over rolling sand dunes and the peaceful Colorado River draw thousands of visitors every year. Yuma Lakes RV Resort Virtual Tour!